As you may have seen on social media, I’m experimenting with BookGrabbr. (UPDATE: The promotion is over as of March 8, 2016.) It’s a relatively new book marketing tool that provides readers a free preview of a book in exchange for sharing the link. 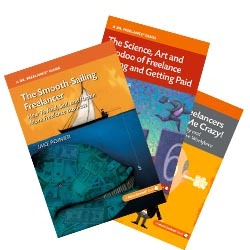 (I’ve uploaded the first 7 chapters of The Science, Art and Voodoo of Freelance Pricing and Getting Paid.) Before I get into my initial take on the tool, though, I want to discuss why I’m giving it a try. 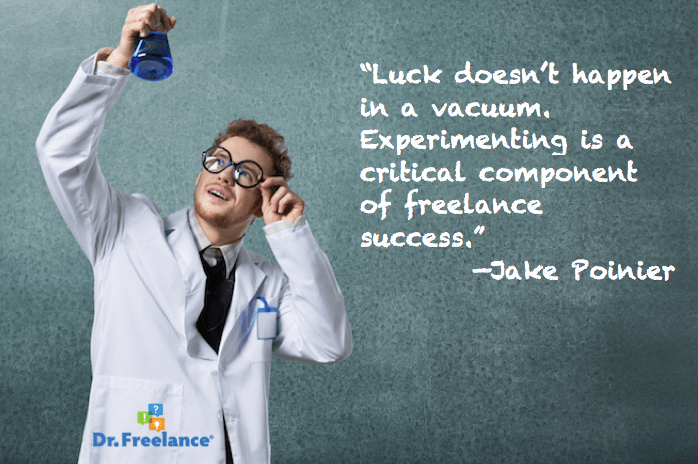 In short, it’s because I believe experimenting is a critical component of freelance success. You’ve heard various Hollywood stories about actors becoming stars by being discovered out of the blue. Natalie Portman was a 10-year-old child munching away at a pizza restaurant, Charlize Theron happened to get into an impassioned argument with a bank teller in front of a talent agent, and a bar-fight-battered Mel Gibson drove a friend to audition for a movie, which happened to be Mad Max. For every example of serendipity, however, I can’t even imagine how many tens of thousands of would be-actors go to Hollywood and never get past being a bartender or restaurant server. They’ve bought into a fantasy: waiting to be discovered. It would be nice to think that your writing, editing, graphic design, or other creative talent would automatically take you to the top, but that’s not the way it works in business. You have to hustle. You have to try new ways to get in front of companies, editors, authors, readers, and anybody else who might use your services or refer you. You need a little right-time-right-place luck, which doesn’t happen in a vacuum. Which brings me to the BookGrabbr experiment. I recently came across a post by literary agent and editor Shawn Coyne about his 10,000 reader rule: i.e., a book publisher’s job is to get 10,000 people to try a book. Self-published book marketing depends heavily on word of mouth, and BookGrabbr is providing an interesting approach to getting exposure to a wider audience. (Note that it’s being used by a number of big publishing houses, too.) The important thing is that it offers an alternative to Kindle free promotions, Kindle Countdowns, and pay-per-click advertising, all of which I’ve used in the past to varying degrees of success. NOTE: This promotion is now over. If you’re interested in reading the first half of my freelance pricing book—for free and with no obligation other than sharing the link—go here and check it out. If you have a moment to spare, I always appreciate reviews on Amazon. After the promotion is done, I’ll share my results and takeaways from the experiment…unless I get discovered at the local coffee shop by a Hollywood script agent, at which point all bets are off! What were your results of using BookGrabbr?